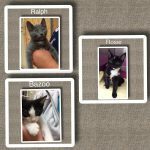 Ralph,Rosie and Bazoo came to Fixed Fur Life with their siblings and mothers who were pregnant strays. They have all now been adopted and mothers have been Spayed. 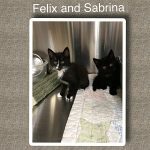 Felix and Sabrina came to us separately on the same day both from different situations. What they both had in common is that they were the same age and they were both alone outdoors trying to survive. We put them together and Voila they formed a bond. They have now been adopted together and have gone onto their new home. Moose and Goose are two of Poppy’s babies. Poppy’s story Poppy came to us with an injured leg. The morning after taking her in we found that she had become bagged up with milk which meant she had been nursing kittens. Back out we went and after two days with the help of mom were able to track five babies down in an old abandoned car. After many trials and tribulations we were able to catch all 5. Moose and Goose went through weeks of intensive treatment for an upper respiratory infection. As you can see all resolved and they have now gone onto their new home. Charlie is a 6 year old male neutered and declawed boy whise senior owners could no longer care for. He has now been adopted and has gone onto his new home. 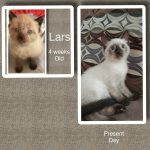 Lars’s pregnant mother was rescued from a hoarding situation. She delivered Lars and his sister Tuna safely in foster care. Lars has now gone onto his new home. 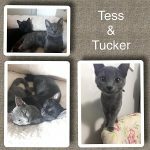 Tess & Tucker are siblings who are bonded and had to be adopted together. 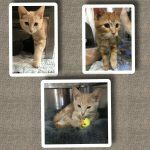 Spayed and Neutered by FFL and have now gone onto their new home together..
Burrito, Tanner and Barley were born outdoors. Their mother was arracked and killed by a predator. 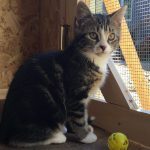 They and their 5 other siblings were taken in by FFL, Neutered and have now gone onto their new homes. 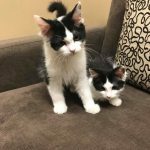 Marlo and Snoopy are two kittens adopted recently from Fixed Fur Life. 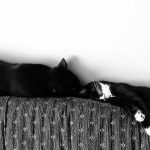 Not siblings and adopted at separate times they have quickly become inseparable. Shown here in their new home. 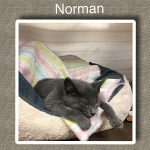 Norman was a 12 week old kitten who came to Fixed Fur Life with a severely fractured back leg. His back leg had to be amputated. A really special little gentleman! He recovered nicely after weeks of rehab and has now gone on to his new indoor only home! 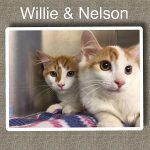 Willie & Nelson are two bonded brothers. Recently neutered and have been adopted together! 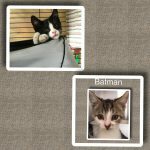 Batman and Robin (aka Sillyvester) came to us with their siblings. Mom was an outdoor pregnant stray. They have now been adopted into the same home. Who remembers the Marble Point cats. They were a group displaced after a fire destroyed the property they sought refuge in. We spayed and neutered 42 in all and found homes for. ( Note 36 of them were female). 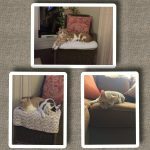 Shown here are Panda,Peaches and Percy who were adopted into the same home living the dream of a happy safe indoor life..
Bunny,Izzy and Cee Cee came to Fixed Fur Life with their four other siblings. Mom was an outdoor stray. They had to overcame an upper respiratory infection on Admission. 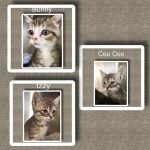 Great news they were adopted as a trio to a wonderful family! 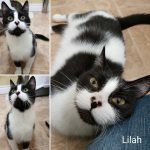 Lilah came to us as a heavily pregnant Stray. An x Ray done on admission revealed that she had a bullet in her hind end. Shot while obviously running away. She went on to deliver five beautiful babies. 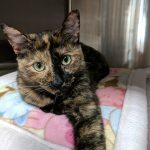 Spayed and has now been adopted. 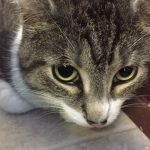 Lucy came to Fixed Fur Life as an un Spayed Stray. Extremely outgoing and social. A youngster who would have been having babies in no time. Spayed by FFL and had now been adopted. 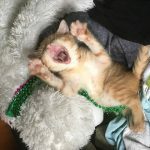 Harry came to Fixed Fur Life as a wee baby that was found outside by himself trying hard to survive. Treated for an upper Respiratory infection. Finally resolved and now adopted! Petunia was a stray kitten. A really sweet little one who has now gone onto her new safe indoor home. 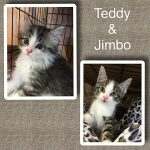 Teddy and Jimbo were two of 7 kittens born in a barn. Safely delivered to Fixed Fur Life. Mom is now Spayed and they have gone onto their new home together. 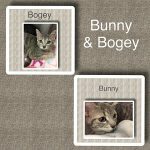 Bunny and Bogey were found with their siblings huddled together at a construction site in Belleville. Reeking strongly of cigarette smoke on Admission it is believed that they were indoors and then abandoned outside. Spayed and neutered via Fixed Fur Life they have now been adopted. 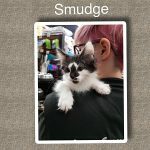 Smudge was one of 7 kittens born in a barn. Safely delivered to Fixed Fur Life. Mom is now Spayed and Smudge has gone onto his new home.